Ever Evolving is the latest project from producer DAILON. Released by San Franciscan label DIRTY//CLEAN and consisting of 4 tracks plus a remix courtesy of Groundislava. The EP is a great combination of interesting sounds and rhythms that make you want to nod your head. Each beat (aside from the remix) sits at a very relaxed tempo making it an easy record to play over and over again. Very easy to listen to, but the more you listen the more you can appreciate DAILON’s unique use of instrumentation and structure. You can download the album now via Bandcamp. Originally hailing from Nashville, TN, Dailon aka Dylan Flach is an inspiring young producer who has been relentlessly productive throughout his budding career. Since relocating to San Francisco 5 years ago, the talented young artist has made a name for himself in the Bay Area by pushing his take on colourful, jet-lagged beat music, finding a crucial balancing point between fluid, emotive bass vibes and jagged, synth-washed club workouts. Ever-Evolving is a tale of drastic change, as captured in his trip to the ocean cliffs of Big Sur, where it all began. Dailon started his journey from San Francisco down the pacific coast, eventually finding his way to a remote beach 18 miles south of Big Sur. Beneath the hazy glow of the ocean sun, he studied the waves crashing, the peace and serenity of the tides, along with the turmoil of the violent cliff-side surf. Eventually, the beaming sunlight gave way to a heavy metallic downpour, a fleeting ocean rainstorm. 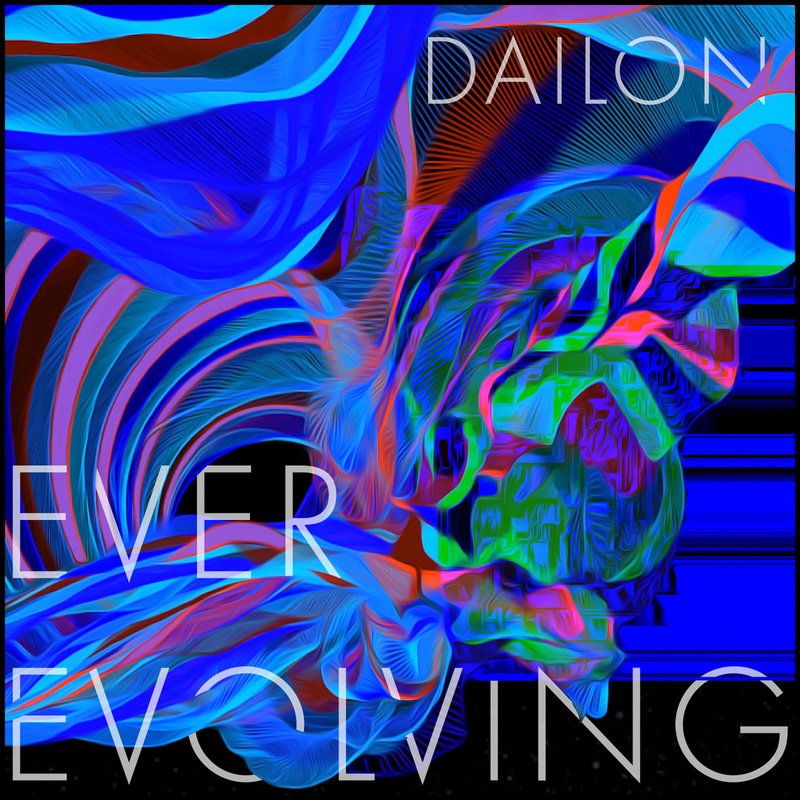 ‘Ever-Evolving’ is Dailon’s hi-def, carbon-fiber soundtrack to this continually changing atmosphere. The emotive swings of the EP reflect the shifts and rhythms of city life while offering moments of clarity and calm reflection that come from an escape into the misty pacific. This is “Ever-Evolving”, the slowed tranquility and angular chaos of life.